The Mike Weir Estate Winery was created in 2005 for two purposes, to showcase the award-winning wines being made in the Niagara Peninsula and to raise money for the Mike Weir Foundation. The foundation assists children in physical, emotional and financial needs. Mike Weir Wines has recently announced that the wines will be made in conjunction with Chateau des Charmes, also in the Niagara Winescape. The Winery is set to be built in Niagara Falls Ontario adjacent to Niagara Parks Whirlpool Golf Course, located along the Niagara Parkway. Mike Weir Wines was developed in 2005 and is currently working in conjunction with one of Canada’s oldest winery, Chateau des Charmes in the Niagara Wine Region. This has given the winery a chance to access over 300 acres of award-winning VQA vineyards. 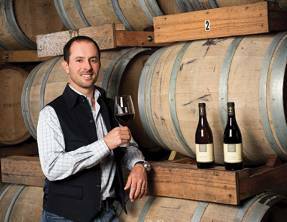 Sales for Mike Weir Wines increased to 30,000 cases since they opened in 2005. Mike Weir Chardonnay and Cabernet Merlot are the only two wines available in every province in Canada. The Winery is also in agreement with the Niagara Parks Commission to build the Mike Weir Winery directly beside the Whirlpool Golf Course located along the picturesque Niagara Parkway.